CINCINNATI -- A fierce streetcar debate and a bitter mayoral race divided nine Cincinnati City Council members when they took office four years ago. And for years, the public watched as bickering became commonplace at city council meetings. But this newest Cincinnati City Council, elected in November and set to be sworn in Tuesday, is vowing to put an end to infighting at City Hall in 2018. 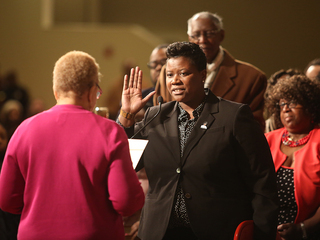 Three new faces -- Democrats Tamaya Dennard and Greg Landsman and Republican Jeff Pastor -- join council. 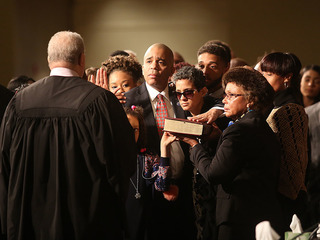 Meanwhile, Mayor John Cranley and six other council members will begin serving their re-election terms. Pastor, Landsman and Dennard are all promising more cooperation at City Hall. So today could be the start of just another failed New Year’s resolution -- or a genuine reset for council. “This council is different from the previous council in some pretty substantial ways,” said Jared Kamrass, a political consultant who worked on election campaigns for both Cranley and Landsman this fall. 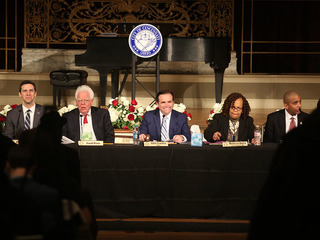 For Cranley, especially, the new council could be a welcomed change from the last four years. Two of his biggest critics -- Yvette Simpson, who mounted a bid against him for the mayor’s job, and Charlie Winburn -- no longer hold council seats. Simpson often opposed Cranley. Her allies, Councilmen Chris Seelbach and Wendell Young, joined that resistance. The trio organized a successful crusade against the mayor’s proposed parks levy in 2015 and accused Cranley of mishandling the firing of former Cincinnati Police Chief Jeffrey Blackwell. With Simpson off council, however, Seelbach and Young might be forced to work with the mayor to push through any legislative achievements. Cranley said in a radio interview last month that he met Seelbach over lunch shortly after the election. It was the first time the two had met privately in years. Cranley told WCPO in a November interview that he hopes the divide between himself and some council members soon dissolves. Landsman said he hopes to see less sniping on social media between council members. Don’t expect him to jump on a keyboard to rattle off complaints, he added. “I do not believe you can govern by tweet or Facebook post,” Landsman said. “Governing requires the hard work of problem solving with lots of people and working through the details until you get to a solution that really works." What will they agree on? There’s already one issue all three new council members agree on: Fixing the city’s troubled transportation system is a top priority. All three new council members told WCPO in separate interviews that they want to re-envision the bus system and other transit services the city currently provides. Transportation is a big, complex issue that will take years, increased taxes and several pieces of legislation to change. But these three new members don’t shy away from talking about their “big picture” or “pie-in-the-sky” ideas. Reducing poverty and tackling the heroin epidemic are other issues Dennard, Landsman and Pastor say they’re ready to take on. It’s easy for any political newcomer to talk a big game about solving some of the city’s most pervasive problems. Will they have actually made progress four years from now? 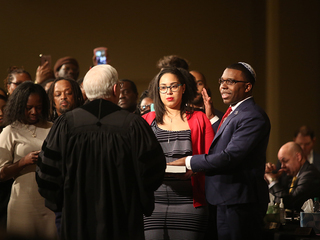 Political watchers say if these new members do bring a more collaborative spirit to council’s chambers, it could go a long way to alleviating some of the region’s biggest problems, such as poverty and affordable housing. Kamrass, the political consultant, believes this council’s areas of focus will be much more diverse and more work will get done. Landsman, for example, points to his success with convincing voters to pass the $15 million Preschool Promise levy, which launched this year and is paying for hundreds of the city’s 3- and 4-year-olds to attend preschool. Citywide preschool expansion was once considered a Cincinnati pipe dream, too. 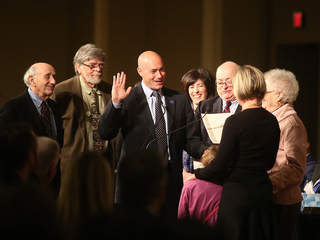 “Ultimately, people expect us to get things done,” Landsman said.